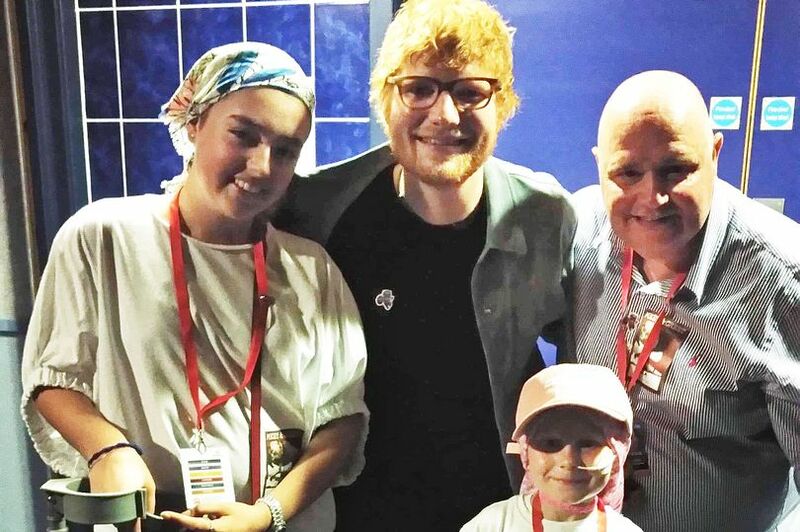 Ed Sheeran met up with two Scots sick kids who just made it out of hospital in time to see him at his Hampden gig. The singer asked to meet the children after being told about their illness by charity worker Les Hoey MBE and his Dreammaker Foundation. He insisted they come backstage to meet him in the bowels of Hampden Park during his run of three gigs here. Sara Millar, 14, from Glasgow was diagnosed with non-hodgkin Lymphoma in November and still has seventeen weeks left of chemo. 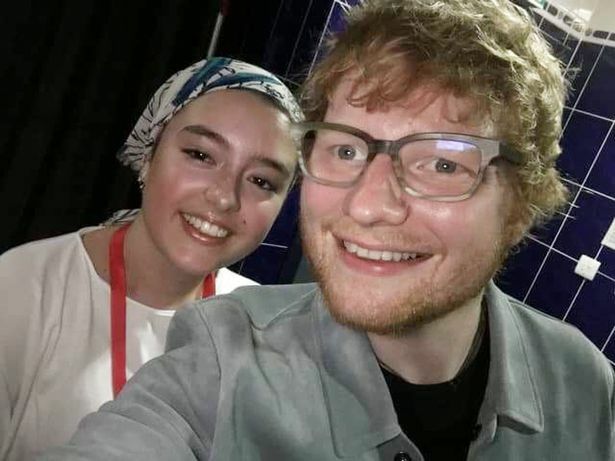 She has been seriously ill with the disease and her visit to see Ed was her first night out in six months. Sara said: “Ed was so down to earth and more like a normal guy than a celebrity. "I was so excited to meet him and we walked down to his dressing room and he came up and got a picture with me and signed an autograph. "He also signed a t-shirt for one of my friends Molly who couldn’t make it because she had to go back to hospital. 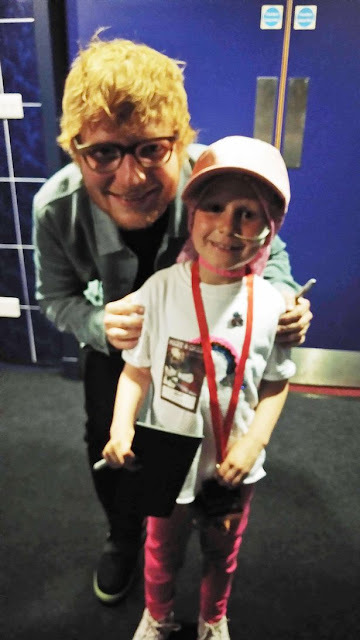 Addison Hornal, 8, from Falkirk told her mum that meeting Ed was better than meeting Santa Claus. 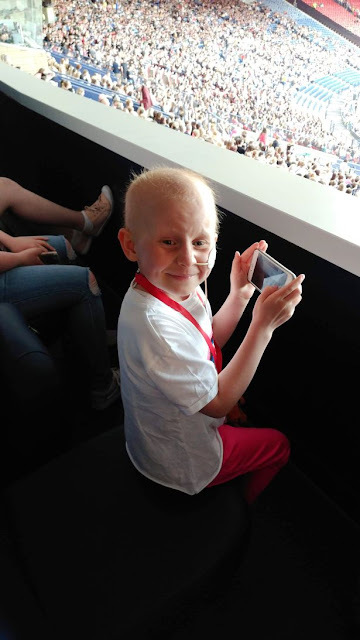 Addison who suffers from Acute Lymphoblastic Leukaemia has been in hospital for seventy days since November and was very sick in the run up to the concert. Mum Pamela said: “Addison has just started eating properly again and was delighted to meet Ed. "He kissed her on the cheek and asked her for a hug. "He’s amazing and behaves like a normal guy.